Our experiences teach us the rest. When we are cheated on by a spouse, we are afraid that either they will do it again or the next partner will. When we see news reports detailing the aftermath of a natural disaster, we panic that someday that might happen to us. When a family member is diagnosed with cancer, that birthmark becomes a questionable mole needing to be seen by a doctor. We are afraid because we know so much about what can, and often does, go wrong. Unfortunately, it can be far too easy to focus on what can go wrong rather than what can go right. Nothing is every accomplished if you let fear stop you from moving forward. Right now, I am about to embark on a life-changing experience, one that I am absolutely, without a doubt, afraid of. Why? Because I know what can go wrong if I don’t succeed. I know the stakes and the commitment and it’s huge. What is it? Well, I’m not ready to share it with the world yet, but know that I am moving forward and when all the pieces come together, I know I will have made the right choice. But I will share another conquering-my-fear experiment that I’m currently working on. Eleanor Roosevelt knew what she was talking about. 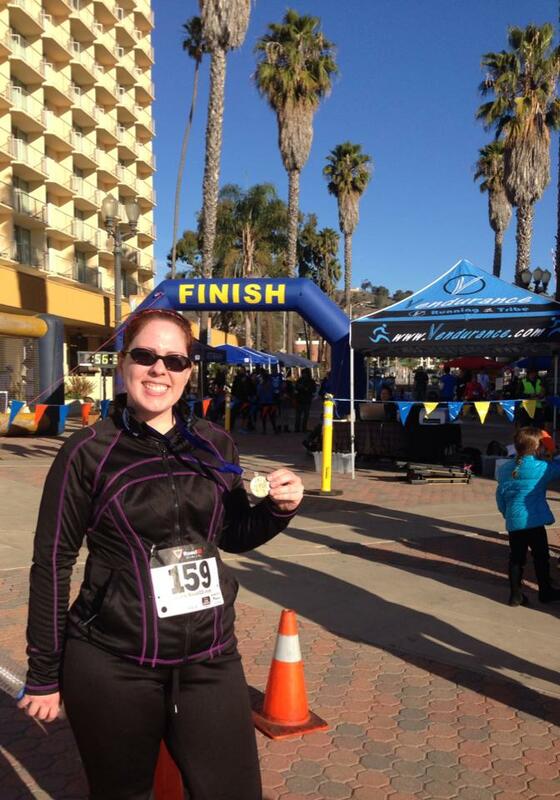 If you read my last post, you will know that one of my resolutions is to run a 5K every month of 2014. As someone who has never considered herself a runner, this is a scary challenge for me. It’s not that running a 5K is insanely difficult (though, I will be the first to admit it is a struggle for me—I’ve always been more of a Zumba/Sweatin’ to the Oldies gal), but committing to one every single month of the year is daunting. I’m not the kind of person who enjoys or is particularly good at running. Oddly enough, my resolution is not really about running. 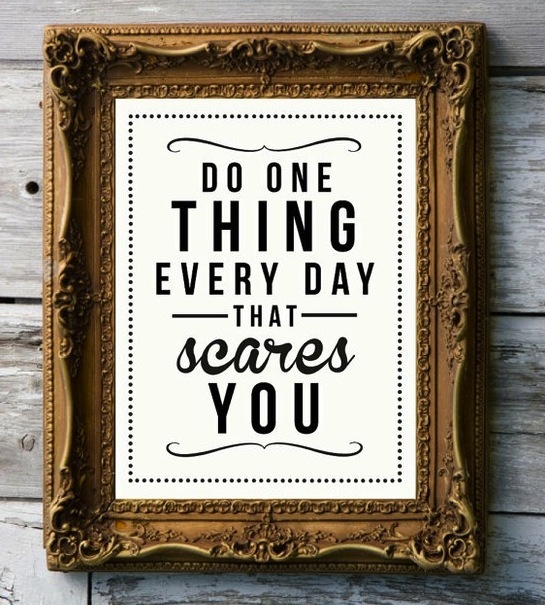 It’s about setting my mind to something and getting it done, even if it scares me. Yesterday, I ran the first 5K of the year. I’ll be very honest with you all, I didn’t train much for this race. Nevertheless, I found myself waking up before the sun, putting on my workout clothes, and driving to the beachside race. While I was there, I ran into a co-worker who was participating in her first run. Since this was her first 5K, she planned to walk, afraid that she wouldn’t be able to run the 3.1 miles. We were both there with trepidation in our hearts. With my headphones set to my pump-it-up playlist made just for the 5K, I hit the pavement like there was no tomorrow. With the ocean to my right and the warm sun shining in a cloudless sky, I ran. The Weather Girls sang “It’s Raining Men” through my earbuds and I was doing it, I was making my resolution happen. It wasn’t easy… I got tired, my hair came undone several times, and I found myself walking to catch my breath, but I did it and crossing the finish line to the sounds of cheering volunteers was pretty awesome. In the moment, it wasn’t about the fear of failure or muscle cramps or sweat dripping down my face, it was about finishing what I set out to do. And that’s the thing about fear, once you stop focusing on it, it no longer matters. Thanks, Renee! Isn’t there a song out there right now that goes “Everything that kills me makes me feel alive?” It’s the same with fear. But conquering your fears, now that’s how you feel truly alive. 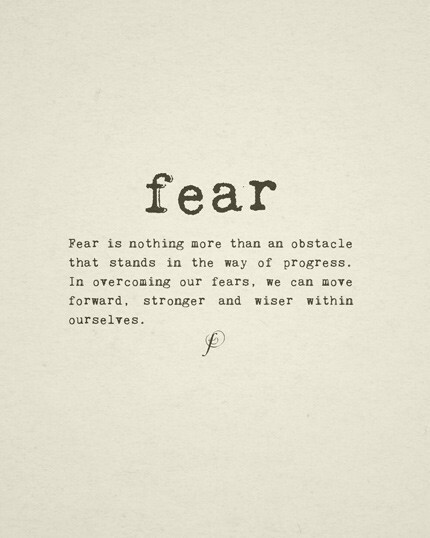 I have to agree with you on conquering your fears:) That would be Counting Stars by OneRepublic – love that song too! One of my favourite sayings is ‘feel the fear and do it anyway!’ Big congrats on your 5k run! Thanks, Karin! It’s so easy to give power to our fears, but so empowering to knock ’em down. How do you like the Divergent series? I’ve been meaning to check it out.